June 9, 2016 By This post may contain affiliate links. 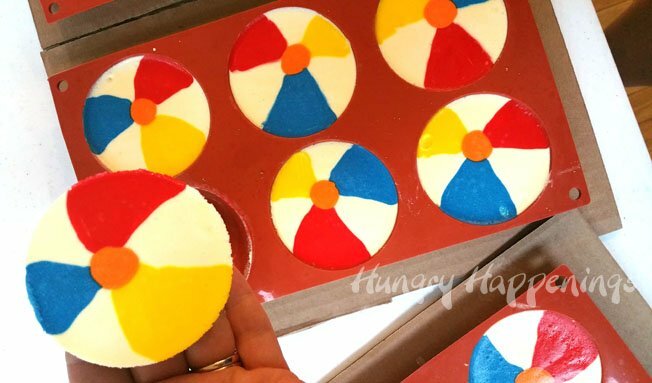 Make a splash at your pool party by serving these colorful Cheesecake Beach Balls. 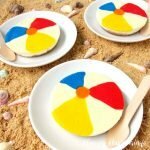 Each individual dessert is decorated using colored cheesecake filling to look like a festive beach toy. 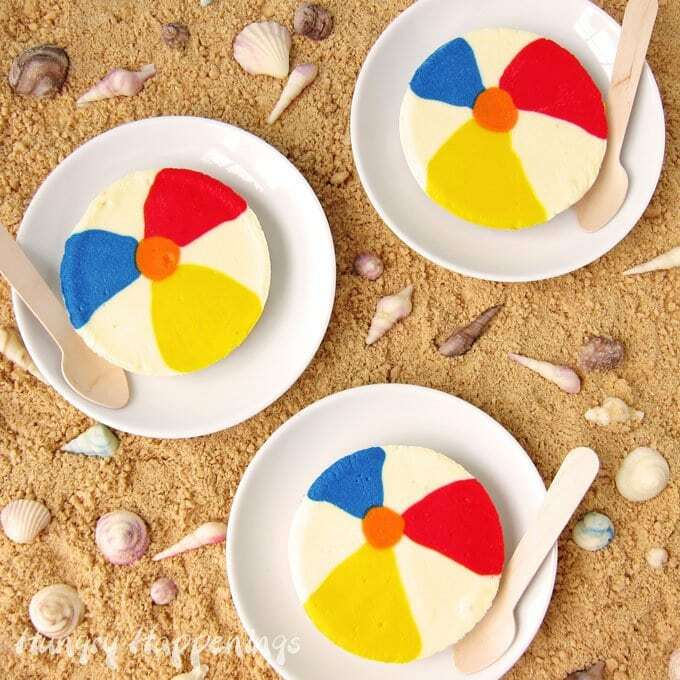 These little cheesecake beach balls were so popular at our beach themed graduation party. 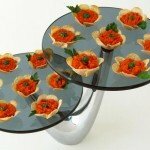 Even though there were so many treats for the party guests to choose from, the cheesecakes were gobbled up quickly. Cheesecake definitely at the top of the dessert favorites list for my family so it was no surprise to see their popularity at the party. 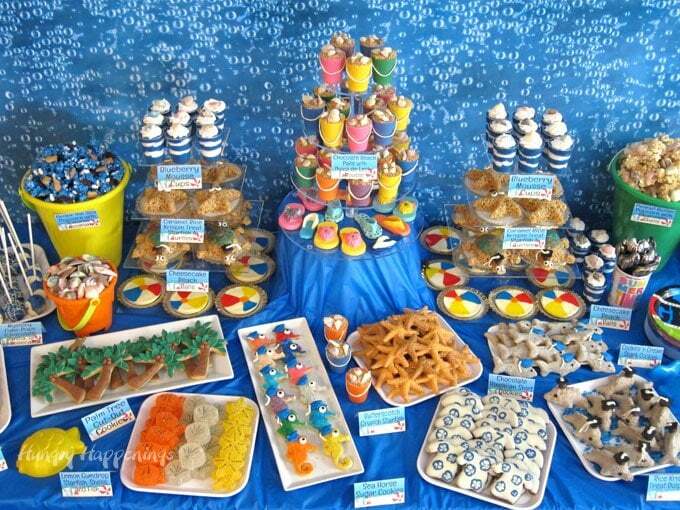 Can you imagine having all these amazing treats to choose from at a party? Would you pick up a cheesecake beach ball to enjoy? I would. Oh, I mean, I did! When making desserts for a large crowd, I usually make individual sized treats instead of large cake. I don’t like to have to cut a cake and serve it to a large crowd. I’d rather spend time mingling than serving. I also don’t like to see half cut cakes on a table. It messed up the visual effect. I want the guests to see the beach balls, not a cake that kind of sorta looks like a beach ball. I know some of you will prefer to make one large beach ball, and that will work too. 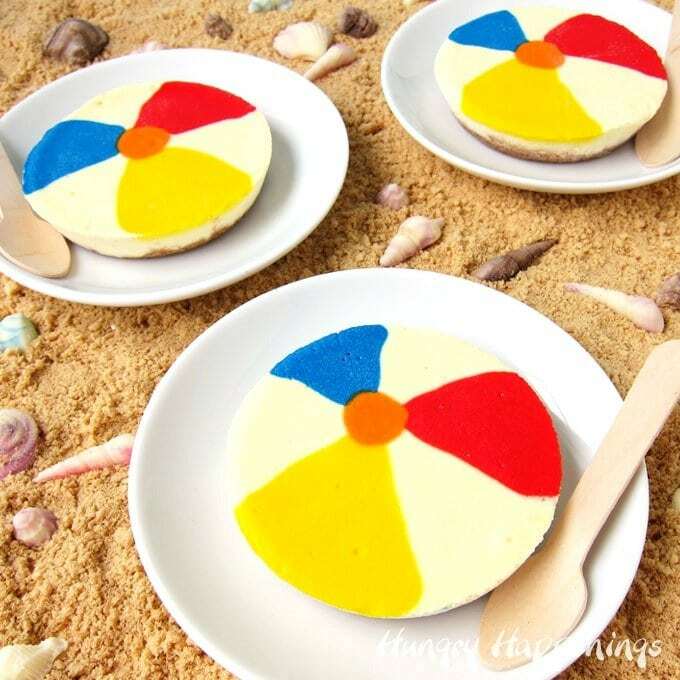 You can use the recipe and instructions from my Decorated Daisy Cheesecake just add a beach ball design on top of the cheesecake instead of a daisy. 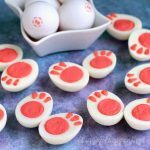 If you plan to make these small cheesecakes, you are going to need to get 3 silicone molds that each have six 3 inch round cavities that are about a 3/4 inch deep. 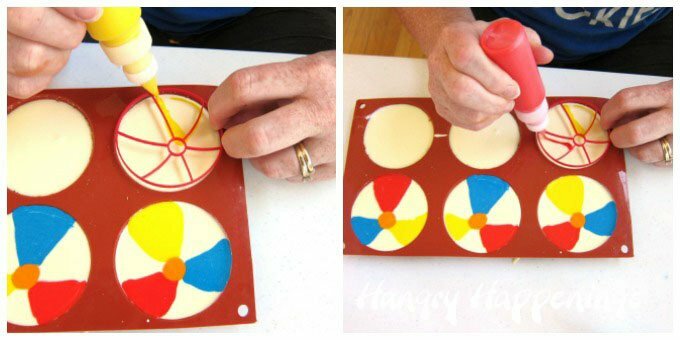 If you are like me, and need a little bit of help getting the panels on your beach ball shaped perfectly then you might also want to invest in a 3-D printed beach ball cookie cutter. One piece of the beach ball cookie cutter is simply a circle cutter, the other has the outline for the beach ball. 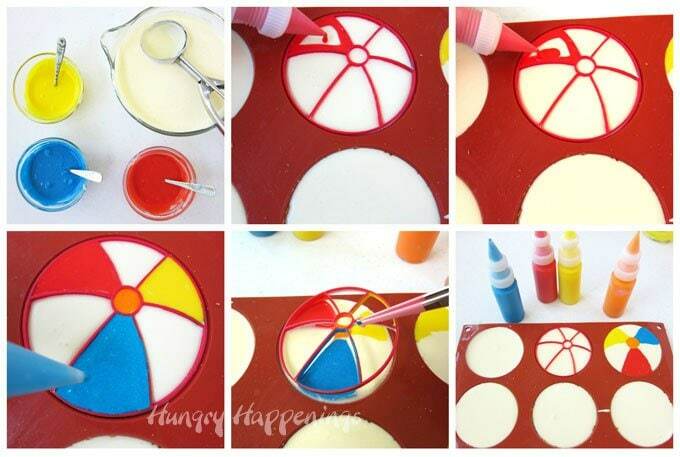 You can use the insert as a guide while piping the beach ball design onto the cheesecake. To make the cheesecakes, start by making graham cracker crusts in the bottom of each round cavity (sorry, I didn’t take a picture of that step,) then spoon in some plain filling, and decorate. 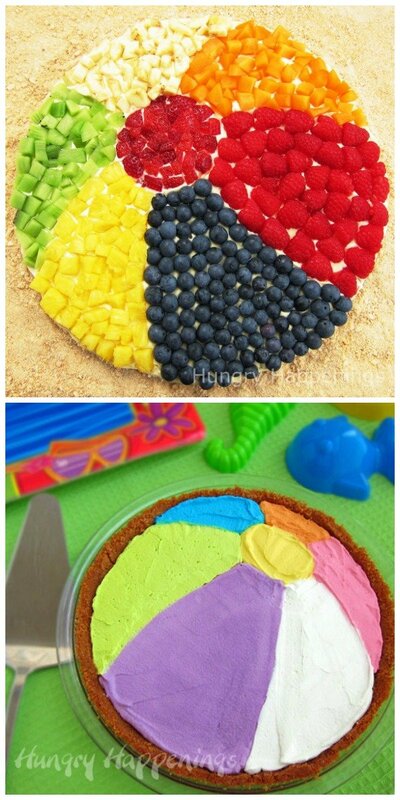 Color small amounts of the cheesecake filling with the colors you’d like on your beach ball, pour them into small squeeze bottles (or use pastry bags,) and pipe on your design. You can set the cookie cutter insert on top of the cheesecake filling and pipe in your first color. Then skip a panel, leaving it white, and pipe in another color. Repeat, creating three colored panels. Then pipe an orange circle in the center. Use kitchen tweezers to lift the insert up carefully. Wash the insert and you are ready to decorate another cheesecake. This method works well, but you have to be very careful when lifting the insert so that you don’t smear your design. To avoid that, you can simply hold the insert just above the cheesecake filling and pipe an outline, then move the insert and fill in the colored panel. You don’t have to use the insert at all, however. You can simply pipe on the design freehand. Once you get all of the cheesecakes decorated you are ready to bake them. To keep your cheesecakes smooth and creamy, I suggest baking them in a water bath. 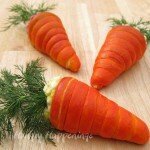 To do this, you’ll want to set the molds in a rimmed baking sheet on a rack in your oven, then fill the baking sheet with a little less than 1/2 inch of boiling or very hot water. You want just enough to go half way up the sides of the molds. 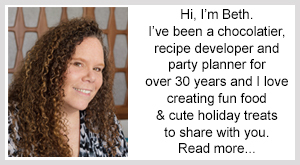 If you have cooling racks that are just a bit larger than the mold, you can set them on the cooling rack, then place the rack and mold into the baking sheet. This will make removal from the very hot water a lot easier. If you use an aluminum baking pan the water may etch the pan turning it a darker color. You can skip the water bath all together, if you want. Just be sure to keep an eye on your cheesecakes at about the 12 minute mark. If you over bake them, they will crack. If you look at the picture above, you will notice that some air bubbles came to the surface and popped, leaving dimples in some of the cheesecakes (see cheesecake in lower right side of mold.) There wasn’t much I could do about it after they baked, unfortunately. 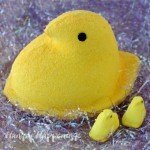 Usually I will tap my pan or mold to remove air bubbles before I bake them. I forgot. But, overall, they looked great. I just set the dimpled ones in the back on my display and no one really noticed. I have that cutter and now I can add another use for it! 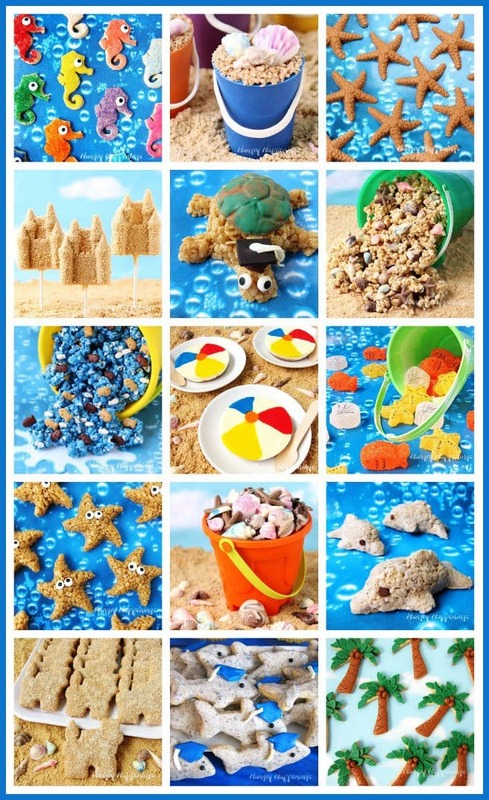 These cheesecake beach balls are so much fun, the entire party looks fantastic! Thanks, Kim. I love the cutter and had planned to use it to make cookies, but just had to make some cheesecakes and these worked out perfectly. Everything looks so amazing at your party. I imagine you spent weeks/months putting this all together, much to the delight of your guests! 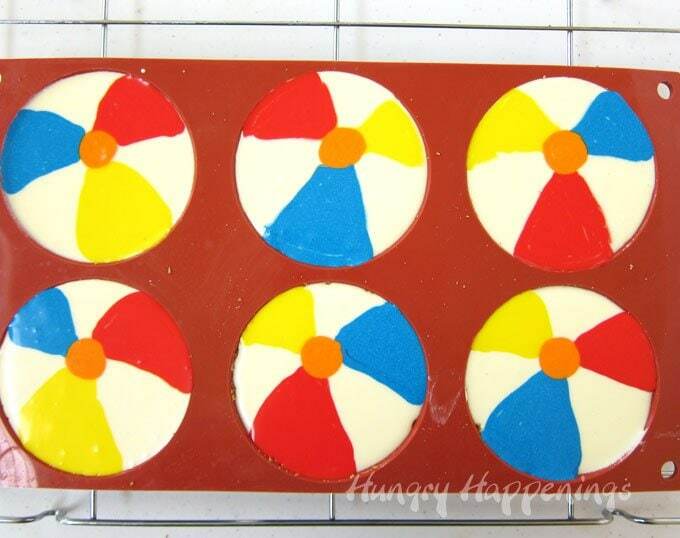 I like your idea of making individual beach balls so you won’t have one messy looking cut up ball cake. Perfect! Thanks, Karen. 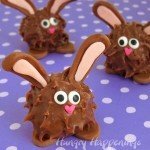 I actually got all these treats done in two, very, very, busy weeks. I did nothing else and thankfully had help. 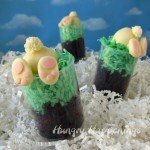 These mini cheesecakes were some of the favorite creations and the guests loved them.